The brakes are very important part of your car’s safety and to make sure that the braking system is well maintained and as safe as possible you must pay attention to any warning signs indicating the need for car brakes servicing. Most cars have brake pads that clamp on a brake disc that in turn acts to stop the car. When the brake pads have reached their manufacturers minimum thickness, they will need to be replaced by an experienced car mechanic. If you had experienced your car pulling on one side, e.g. turning left or right by itself when stopping, you will most likely have a problem with the braking system. So when your car starts to pull on one side, the best thing you can do is to visit a car service centre as soon as possible. One of the warning signs that your car may need brake repairs done, is the specifically designed sound indicator issuing high screaming sounds when the pads need replacing. Besides that, you should listen for rough grating sounds. If you hear this, it means that you have probably worn out the brake pads. Soft brake pedal, i.e. one that goes almost to the floor before the brakes are triggered, could mean that there is a problem with the hydraulic system, such as air in the braking system or leaking brake fluid. You can firstly try to do a brake fluid level check by yourself but in most cases it will be low because there is a problem. If you simply top the brake fluid levels, it will be unlikely to fix the problem. So you should take it to a car mechanic to check the braking system. This is one of the most serious brake problems you can have and it would be safer to get the car towed to a car service centre. Vibrations of the brake pedal can mean that the brake discs have been scored or warped. Their uneven surfaces will cause vibrations coming up through the brake pedal. In most cases, if the brake discs are the problem they can be machined. If they are already too thin, they will need to be replaced. In both cases, a reasonable solution is to visit a car service to diagnose the problem. If you have any suspicions that your braking system is unsafe, the car should be carefully driven or towed to a car service centre as soon as possible. In some cases, it may not be wise to drive the car at all and it would be safer to get the car towed to the car service centre. Maintaining your car to keep it reliable, safe and to maintain its value, will save you money in the long term and is not as daunting as you may think. Without proper care, your car’s condition will slowly deteriorate. The key is: preventative car maintenance. The brakes are the most important safety feature of your car. The brake pads must be replaced when the Brake pad material has reached its minimum thickness as specified by the manufacturer. The brake discs should be machined with every brake pad replacement and in some instances may also have to be replaced if they have reached their minimum thickness as specified by the manufacturer. The car’s entire braking system should be thoroughly inspected at every car service. The brake pedal is very soft. The brake pedal is pulsating. The brake pedal is too low. Brake warning lights are flashing on the dashboard. The brakes make a noise when applied. The cost of major brake repairs can be significantly reduced if minor problems are rectified before the braking components are completely worn out. The video below shows you a professional way for changing brake pads, brake disc machining and proper testing of the braking system. Motor oil is the blood of your car. It lubricates the many moving parts of the engine and by being pumped through the entire engine system via an oil pump just like your heart. The oil and oil filter also cleans the insides of your engine and eventually gets dirty and needs to be changed. Most cars need their oil and oil filter changed every 5000-10000 kilometres depending on the type of driving that you do. It’s important to regularly check your engine oil level especially before you go on long trips. To check the oil yourself, leave the car running for few minutes, then park it on a level surface and turn off the engine. Open the bonnet and find the oil dipstick. Pull out the dipstick and wipe it clean with a rag. You need to look for the high and low marks on the dipstick. Then push dipstick back into the engine as far as it will go. Then pull it out again and look at where the oil rises to on the dipstick. The correct level of oil will rise to somewhere between the high and low marks on the dipstick. If your oil level is lower than the low mark on your dipstick, you will need to top up the engine oil via the oil filler cap. After topping up the oil, allow at least 3 minutes for the oil to get to the bottom of the engine before re-checking. Never put in more than half a litre at a time because you can overfill the engine which can create other problems. You need to fill it to the full mark on the dipstick. The oil should look brownish yellow and clean. 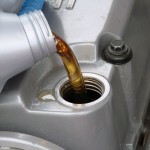 If the oil looks very dark and dirty, then you may need to change the oil and the oil filter. An important component of your car’s cooling system are the cooling system hoses. The hoses help to pump the coolant to and from the engine block via the radiator which is cooled by a fan. If the hoses are cracked or old, they can easily blow under pressure which will cause the engine will overheat quickly. Not only will this leave you stranded, but it could result in severe engine damage which could run into thousands of dollars to repair, when replacing a simple $20 hose could avoided the damage. An experienced car mechanic will have a cooling system pressure tester tool which will check the whole system for any leaks. 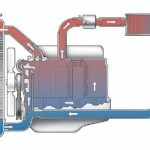 The cooling system can also be adversely affected by a worn fan belt. This needs to be checked for wear and tear. Look for any cracks or shredding on the belt. Watch a video of how much damage a Bad Cooling Hose can cause to the car. Car tyres are probably the most ignored parts of the car. According to the industry experts, only one of ten drivers check the tyre pressure regularly, compared to the fact that nearly seven out of ten drivers, clean their cars regularly. Less inflated, over inflated or worn tyres can be extremely dangerous, especially in wet weather or at high speeds. 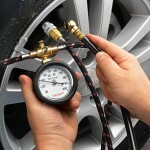 The tyre pressure changes with temperature increase – every 5° C changes about 1 PSI pressure differential. Consult with your car manual or see the outer wall of your tyres to see what your recommended tyre pressure is. If you need to increase the tyre pressure, go to a petrol station with a tyre pressure pump and inflate to recommended specifications. Tyres inflated at incorrect pressures can be very dangerous to drive as well as increase tyre wear. Do not forget the spare tire! IThe car air filter prevents dust and other particles from entering your air intake system of the engine which could cause engine damage. In addition to this, a clogged air filter can really increase the fuel usage of your vehicle. How do you know when it is time to change your car’s air filter? 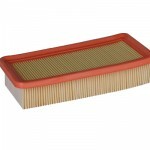 It is recommended that the air filter gets inspected every service and either gets cleaned or replaced. It also depends on the specific road and air conditions in which you drive. If you drive a lot on gravel and dirt roads, then the air filter will clog much faster than if you were driving mostly on highway roads. 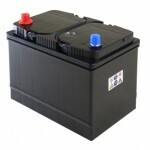 Most car batteries start to deteriorate after 3 years and they need to be checked for current output every service. The only thing you can do to keep your car battery in good condition is to keep the battery terminals clean and not leave electrical items on when the engine is not running. Regularly remove the car battery cables and clean the terminals. Make sure the car battery is firmly placed and all the connections are secure. If you need to change the car battery, make sure it is the right type for your brand and model of car. Car engines are designed to achieve high temperatures, but there is limit to how much they can get hot. Internal combustion engines are most efficient at around 90° C. But if an engine raises a higher temperature, the moving metal parts can start melting, causing additional problems. It is very important to check your coolant level regularly when the engine is cold. This is done by looking at the coolant bottle and making sure the coolant level is between the low and full mark on the bottle. You can top up the coolant with plain water. When driving your car regularly, check the position of the temperature gauge to make sure it does not go above halfway. If the gauge ever goes to two thirds of the way up or more, quickly pull over to a safe place and turn the engine off. In most cases you should call the RACV or a towing company to tow your car to your local mechanical workshop. Driving your car when it has overheated will cause further damage. Always be careful when opening the bonnet because there could be steam or hot water which may burn you. Under no circumstances should you remove the radiator cap. If you have opened the bonnet, do not touch anything on the car as you will get burnt. Wait for 60 minutes or more before touching anything. 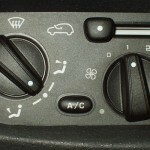 If your car air conditioning system is not getting cold on a hot day, it may need a specific air conditioning service. With regular car inspections, faults in air conditioning system will be identified and rectified before a failing system could leave you all hot and bothered. This is especially important to check before a long trip to ensure your comfort levels are maintained. Air conditioning systems have filters which periodically need to be replaced. The system should be checked for leaks and the levels of air conditioning gas should be checked in the system. Because most air conditioning systems these days can be very complex, if you experience car air conditioner problems it is best to visit a professional car inspections centre to see what the problem might be. 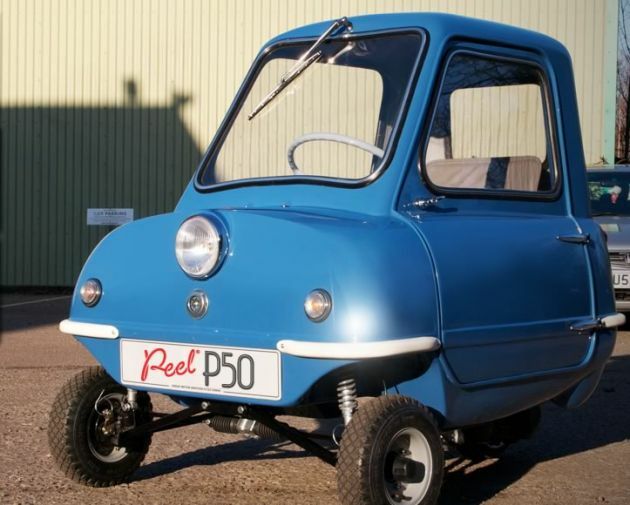 ‘Cheaper than walking‘ was the slogan for the Peel P50 back in 1960s, when it was and today it still is the world’s smallest car ever to go into production. The quest for a more fuel efficient vehicle has led companies to produce smaller and smaller car models, such as the Toyota iQ, the Tata Nano and Volkswagen up! 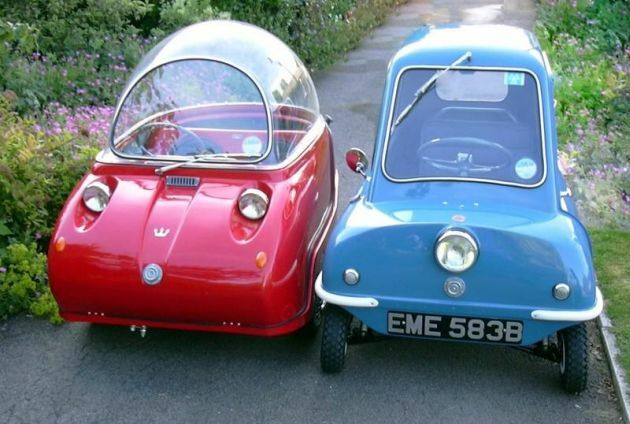 However, all these cars look like giants compared next to the Peel P50. Measuring just 137 cm in length and 104 cm in width, you won’t have trouble finding a parking space for this car, or better yet – bringing it into the office with you, as BBC’s Jeremy Clarkson famously did in an episode of Top Gear. 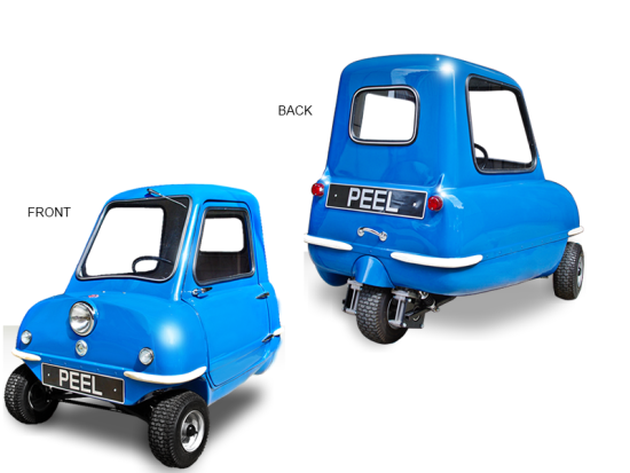 The P50 was originally produced by the Peel Engineering company on the British Isle of Man from 1962 to 1965. Each car was handmade and only 50 of them have ever seen the light of day. 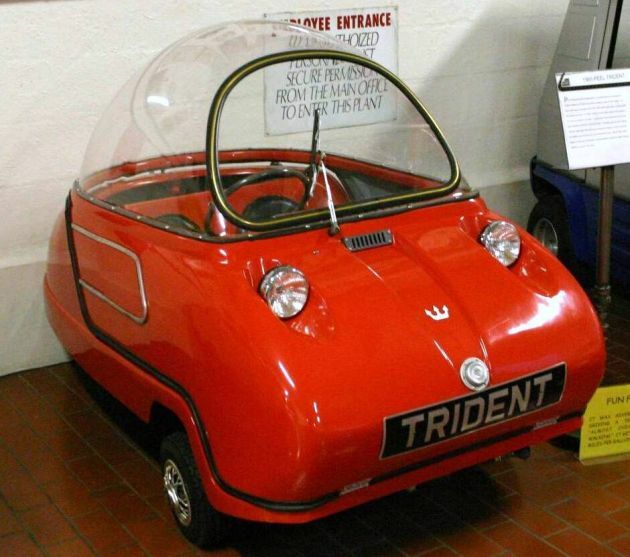 It is a three wheeled car with only one door, one seat, one headlight and one windscreen wiper. It was marketed as a car that could carry one person and a shopping bag, and it could barely hold that much, weighing just less than 60 kg. The engine is in the cabin alongside the driver, with a three speed manual transmission and no reverse gear. Its top speed goes up to 61 km/h and it was priced at $315. Though lacking in some areas like safety, speed and manoeuvrability, owners have claimed consumption of 2.8l/100 km which makes the Peel P50 a credible replacement for walking. Good news for the lovers of micro-cars. The model has been resurrected by the new Peel Engineering company in 2010 together with its slightly bigger brother – the Peel Trident, which has two seats and a pod-like futuristic sunroof. Choosing a “greener” car has a direct financial and environmental benefit for you as well as for Australia’s future generations. Buying a more fuel efficient vehicle might be a bigger financial investment at first, but down the road it can save you thousands of dollars on fuel bills. You need to consider all of your transportation requirements and choose a model that best meets your needs. Larger cars and those with bigger engines often consume more fuel. 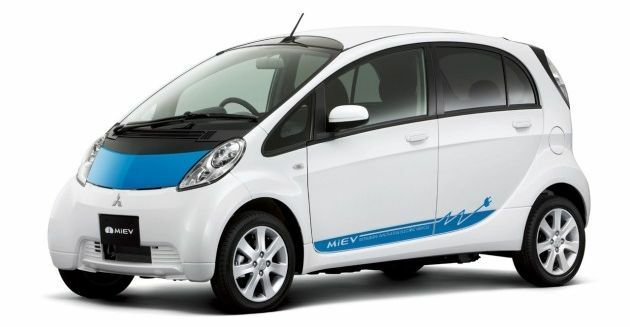 The greenest car on the Australian roads is the Mitsubishi i-MiEV, topping the Green Vehicle Guide rankings ahead of the Toyota Prius. It runs entirely on battery power which is renewed from an electricity socket. It doesn’t even have an exhaust pipe. However, this car might not be for everyone. It has a tiny body with less than ideal safety rankings and it might not be suitable for longer drives. Following closely on fuel-economy in the entire electric cars category are the Nissan Leaf and Tesla Roadster. If you mainly drive within the city a hybrid-electric car might best suit your needs. They have a conventional engine plus an electric motor. When you press the brakes the car harnesses the energy and feeds it to the battery of the electric motor. The most fuel-efficient model in this category is the Toyota Prius. If you mainly drive on the highway a new generation turbo-diesel might better suit your needs. Even though diesel cars emit more nitrous oxide and particulate matter (PM), better fuel-efficiency compensates for the demerits. The Volkswagen Passat Diesel leads the pack in this category as the most fuel-efficient non-hybrid for highway drive. When it comes to fuel efficiency and greenhouse gases emission, the car industry is getting better and better. Or should we say greener and greener. The automotive industry is at an early stage of radical changes. As the consciousness about the environmental impact of cars increases, the automotive industry is rapidly changing and introducing efficiency improvements to most new vehicle models. Hybrid cars are common these days and electric cars are starting to emerge on the market. Manufacturers are also introducing efficiency improvements to internal combustion and diesel engines. Even though a fuel consumption rate of 7-9 litres per 100 km is considered good, some of the latest fuel efficient models are achieving results better than 4 litres per 100km. There is more than one incentive to the increased focus on lowering fuel consumption. On the long term, the price of oil is expected to rise, as the world’s oil reserves are running low. The growing concern of people for the environment has raised public awareness and governments demand increasing the fuel economy standards. Less fuel burnt per kilometre means less exhaust emissions and less harm on the environment. In Australia, the growth of road transport has led to an increase in fuel consumption and consequently an increase in greenhouse gases emission, such as carbon dioxide (CO2), nitrous oxide and methane, which are linked to the type and amount of fuel used. Greenhouse gas emissions have been increasing at a rate of 1.7% per year since 1990. For Australia’s official emission ratings and fuel economy on the top performing vehicles please visit the Green Vehicle Guide Website. When testing the performance of the braking system on a car, the first thing that needs to be done is a thorough road test to check the various components of the braking system and make sure they are all working correctly and there’s no shutter or vibration coming through the brakes. A device called brake tester is used to check the braking efficiency of a car. 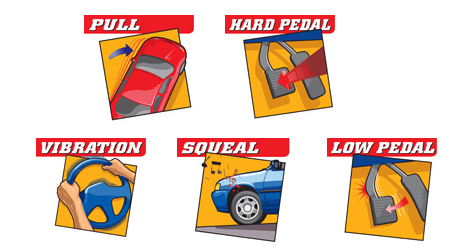 The break tester gets connected to the brake pedal of the car and when certain speed is reached, the brakes are hit fairly hard, and the brake tester will print out the performance on the brakes under hard braking. In the video below, we’ll show you few of the components of the braking system, replacing brake pads and machining the brake disc. You need to be very careful who fits your brakes and how they go about doing them, as if the brake pads are put in incorrectly, they might crack like in the video and cause a serious road accident. Every disc has a minimum thickness it is allowed to be. Before replacing the brake pads, a mechanic must determine the thickness of the brake disc, and if it can be machined or not. Without a proper calliper measuring tool and knowing the thickness of the brake disc, the brake pads shouldn’t be changed. It is illegal and quite dangerous to put brake pads on a disc that is too thin. If the thickness is acceptable according to the manual, the brake disc needs to be machined using brake disc machining device, that has an electric motor, connects to the hub of the car, and it spins the hub around. When it spins the hub around, there are two jaws that clamp around the disc, and machine a certain amount of that disc. After the disc is machined, the calliper pistons have to be pushed in with a special tool and they have to be checked to make sure that they are not seizing inside the bores or leaking. There are also two slides at the calliper slides that must be checked and lubricated, because they can bind up and cause many problems with your brakes. Once the brake pads are in place and the wheel is back on, the brake pedal will now have to be applied several times before the car is moved because the brake pedal will be very low as the calliper pistons have been pushed right back in. At the very end, the car needs to be driven again, just to make sure everything is performing the way it should be. In the video below, Chris is demonstrating how a proper car service without neglecting any of the engine components could’ve saved $3000 to the owner of the car. As you can see, a simple $12 cooling hose did all this damage to the cylinder head walls and ultimately to the engine itself. If a simple radiator pressure test was run on the vehicle, the bad radiator hose (split cooling hose) would’ve been detected, and it would’ve been replaced for just $12. As the bad cooling hose wasn’t detected, it split; causing the car to lose all of its cord water and eventually slow down & stop the engine, due to the cylinder head gasket blowing because of lack of water and overheating. Sometimes a simple problem such as a cooling hose radiator leak can create major damage in the engine components, the engine piston and the engine itself will need to be replaced. So, the key to this is preventative maintenance on your vehicle will stop not just radiator leaks, but many possible major defects and your vehicle’s running costs will be kept down. Don’t neglect preventative car servicing. We offer a car service special deal for only $99 in all of our three workshops in Melbourne where we make a thorough inspection to all components including a radiator pressure test, and we can easily detect simple cooling hose burst like this very early.